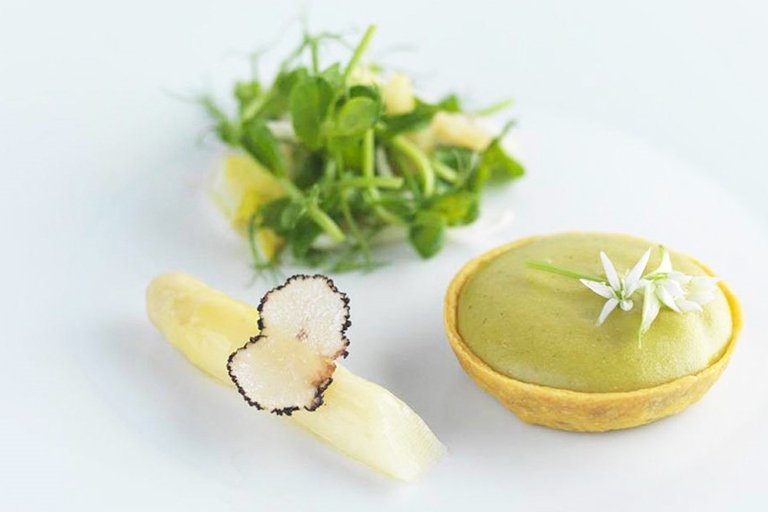 Wild garlic leaves add a fresh and aromatic edge to this creamy Parmesan tart recipe by Frances Atkins. Buy at farmers' markets or forage for yourself in the spring. An alternative to the wild garlic leaves would be to add half a clove of crushed garlic.